But there are seriously a ton of people who come up to me like " But KFC makes chiken, not toys"
I guess it's been a month, I'll bump this thread! Long story short, I collected the Masterpiece line early on (MP-1, MP-3, and MP-5 (sadly)) but then life started getting in the way and that was that. BUT I've always kept an eye on the line and a few weeks ago, I bought a new book case that allowed me to bring out the old MP's and decided I would honor the occasion with a NEW Masterpiece! I'm actually seriously contemplating selling off most of my Masterpiece collection at this point. I could go into a long discussion about why, but I'll try to keep it down to a nice, concise, bullet point list. - The cost of Masterpiece figures continues to rise. - The release of new mold Masterpiece figures has slowed considerably over the past couple of years. - It's becoming increasingly clear that some characters/figures (more minibots, combiner team members, triple changers) are either never coming out or are a long ways off, making completion of the cast a pipe dream. - Generations figures have been stepping up substantially in quality, cost considerably less money, include almost the entire G1 cartoon cast (and then some), and are much more space efficient in a large collection. - With the "brand unification" meaning an end to Takara Tomy alternative paint application options, and the availability of Takara Tomy "exclusive" figures like Star Convoy through Hasbro Pulse, Generations collecting for me is becoming even more affordable. Wolfman Jake wrote: I'm actually seriously contemplating selling off most of my Masterpiece collection at this point. I could go into a long discussion about why, but I'll try to keep it down to a nice, concise, bullet point list. For me it's the opposite. With the brand unification and not having the Takara alternate decos which I prefered for the Generations line, there isn't much point for me to keep buying Generations figures. Especially since living in Switzerland means I'll have to import them either way as Transformers are virtually non-existant at normal retail. So with Masterpiece releases slowing down in frequency, I nhave more time to save up for them and just focus on that. Also space is a pretty big factor for me as well, so only collecting MP is way more effective in that regard too. If you do end up selling off your MPs, I'm sure there be lots of people interested in taking them off your hands, including me. I've expressed before that I feel quite sorry for collectors of G1 Masterpiece. As you're never going to get what you want IE a complete set of any series. The only figure I would want from G1 now is Galvatron and that is far more of a long shot than it should be. They fob off the gullible with excuses for everything, from character selection (we thought you only liked Prime and Bumblebee? No.. too bad ) to hiking up the prices (the price of plastic increased 100 fold from 2018 to 2019, yet somehow the quality of it deteriorated ). Other than that, I stick to Beast Wars, for Masterpiece and the City-Bots outside of that. Beast Wars has been [initially] limited to 14 default characters and within three years we have 4/14. I'm happy with that output. As for a new Scorponok... Maybe someday. Other than that, I don't buy anything else. So prices of individual figures are negligible as the spacing between them is acceptable. 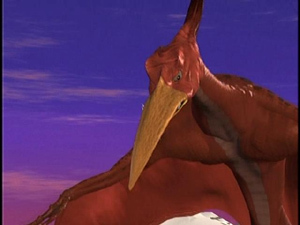 But now that it is common knowledge he is in fact, the third tallest Predacon after Megatron and Inferno, that perceived impossibility isn't so clear cut. In terms of accessories, he would be most likely to bear pieces from his perhaps best standalone story in "Power Surge". 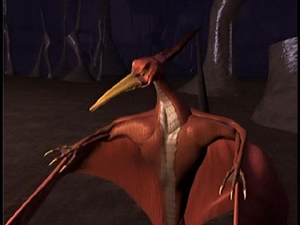 So from an engineering standpoint, while everyone remaining within the Season one cast won't require the complex wizardry of Dinobot, Terrorsaur is still the most interesting to see realised. MPs have always been a fun thing for me, not a serious collection minus the Movie ones. I have a SG one, 2 Beast ones, and 5 G1 ones in addition to the movie ones. I enjoy it, but there is definitely a reason that I do not purchase that many. I get the ones that are really cool or mean something to me. I don't think I could justify myself as a completionist for MPs. D-Maximal_Primal wrote: MPs have always been a fun thing for me, not a serious collection minus the Movie ones. I have a SG one, 2 Beast ones, and 5 G1 ones in addition to the movie ones. I enjoy it, but there is definitely a reason that I do not purchase that many. I get the ones that are really cool or mean something to me. I don't think I could justify myself as a completionist for MPs. I've decided I can't be a completionist with Masterpiece figures either. I told my partner earlier this evening that I was planning to sell off my Masterpiece collection. He balked and begged me to at least spare a few of his favorite characters. I decided that I'd downsize my collection first and see how that feels before deciding if I want to give up on it entirely. I'm going to sell off any Masterpiece figures that don't represent either an original run toy. So, all of the retool/repaints made of G1 figures for eHobby (Clamp Down, Tiger Track, Road Rage, etc.) are out, along with anything that's an original Diaclone homage that was skipped over in G1 (like Cordon, Loudpedal, and the like). 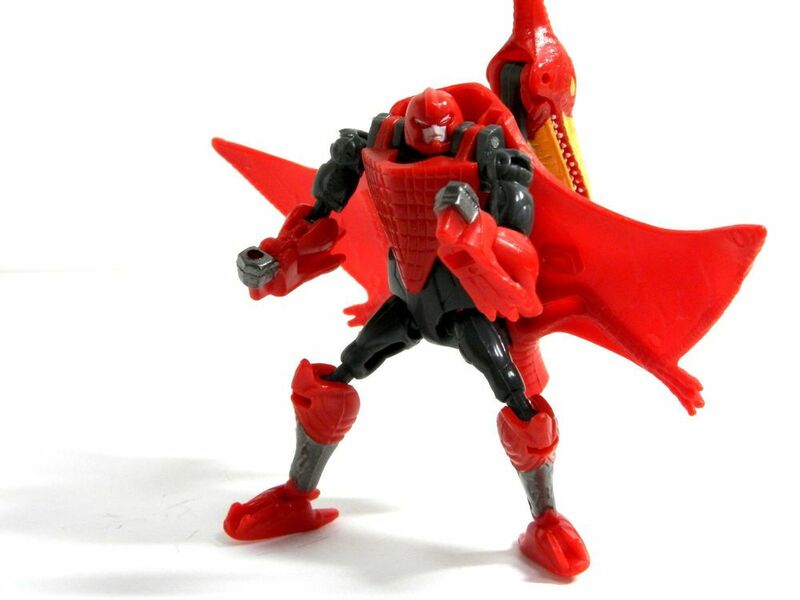 There are still a few oddities, like Red Body Bumblebee, which technically was a G1 figure, but I have no sentimental attachment to it and no need for it, honestly. 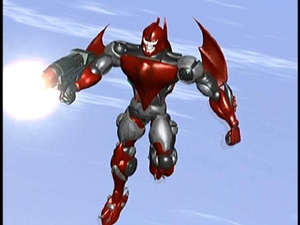 With Beast Wars, I'm sticking to the cartoon cast. For the Masterpiece Movie figures, I'm not collecting them at all. The Studio Series is enough for me for that section of the franchise. Now my difficulty is in deciding between MP-10 and MP-44 for Optimus Prime and MP-21 and MP-45 Bumblebee. Knowing that the line is getting more and more cartoon accurate, should I hold on to the more realistic amalgamations of real world vehicles and cartoon aesthetics, or go all in on the Sunbow bandwagon? I thought about this post a lot on my way to work today haha. I ONLY collect G1 Masterpiece. While I have enjoyed watching other Transformers series over the years, I only have a real, true, nostalgic affinity for G1 when it comes to the toys (read: spending $100+ on a plastic shelf decoration). I am playing a lot of catch-up right now but, in theory, it seems that G1 averages around 1 figure a year (give or take, of course). ASSUMING (and that is a HUGE assumption given the design and pricing of Bumblebee 2.0) the figures are worth the coin, that's a pretty easy pill to swallow (New versions of Optimus Prime aside!) 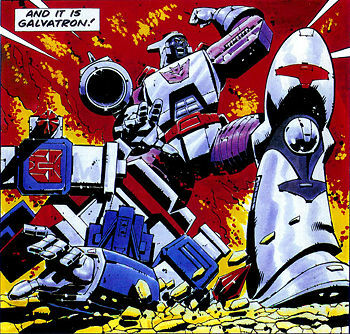 I spend $120 a year for a Netflix subscription, it's the same as 1 G1 Masterpiece a year. There's also a finite number of figures I want and I do hope they get to them all eventually (Kup, Arcee, Galvatron, the sweeps, an insecticon or 2) but when they're done with them all, I'd be able to sleep easy. And if they left G1 behind all together, I guess I had my fun.